I bloody love March. Do you know why? Because it means Makeup Revolution celebrate yet another birthday, and me and some beautiful friends Orla, Megan and Naddy get to go along and party with them! I headed up to London around 2pm to meet the girls, as we were all staying overnight in a hotel. We stayed at the Comfort Inn which was absolutely ideal for our needs, a great location and so affordable too! We spend most of the afternoon buying snacks and getting ready, before heading off to the event. The party was held at One Embankment which is a gorgeous venue, situated right on the River Thames. A lot of corporate parties are held there and you can certainly see why - it's so beautiful! When we arrived, we were greeted by a red carpet and had the chance to get professional photos taken. There was plenty of space to mingle, dance, drink and even a section where we could take a sneak peek at all of the up and coming TAM Beauty releases. Trust me, you really DO NOT want to miss out on those! Check them out here. The famous GIF photo booth made another appearance and Adam (the founder of Makeup Revolution) made his dream bond entrance introduced by his stunning wife, followed his hilarious yet great speech! After soaking up about 6000 free cocktails and mini bottles of champagne, we got to see some amazing professional dancers (plus some hilarious dance offs!) and managed to track down the gorgeous Jemma (otherwise known as Dorkface). YAY! 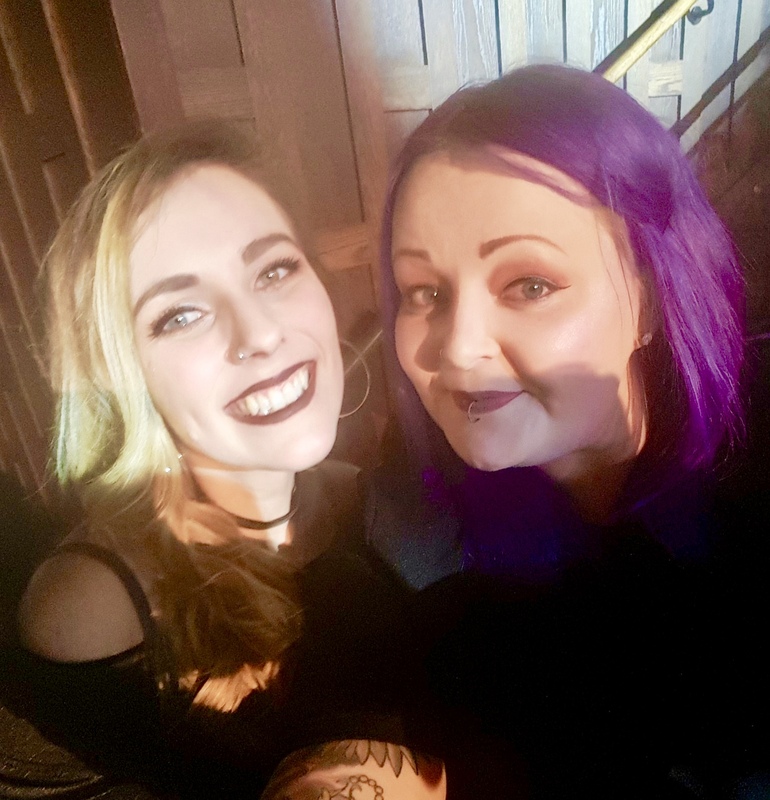 So happy I got to finally meet her - even if we were both drunk and it was brief haha! Overall, the night was so much fun and it felt like I blinked and it was all over! I vlogged most of the evening too and the contents of the goody bag - so you can watch that below if you wanted a sneak peek. Not a day goes by where I'm not grateful to TAM Beauty for all of the incredible opportunities like this. Also to the girls who made the night so much fun - I can't thank them enough! Bring on Revoween! 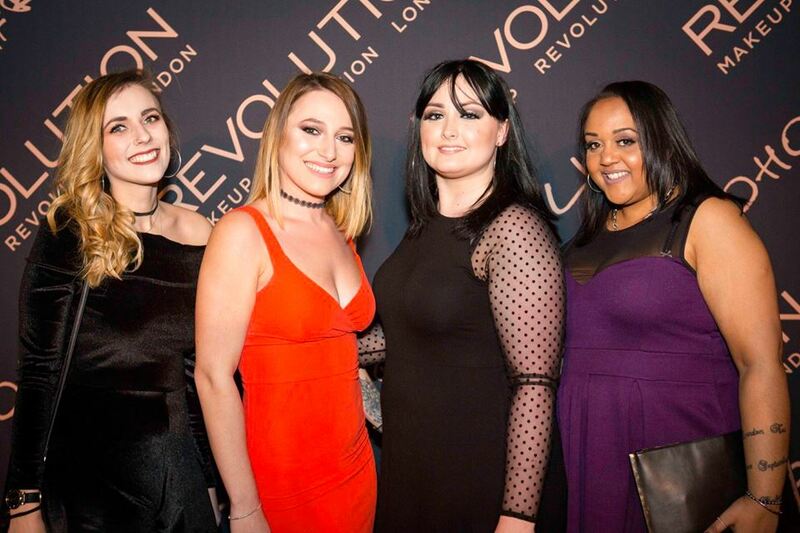 Did you go to the Makeup Revolution party? Oh! I just love makeup revolution. I have all their products and I guess I can proudly say that I learnt makeup because of this only. It is my friend’s bachelorette party next week in one of the San Francisco venues and I will be doing her makeup, I am very excited. Win Tickets To Brighton Foodies Festival!